Users of CyanogenMod on the Galaxy Nexus now have another awesome zip that they can flash to change the look and feel of their device. 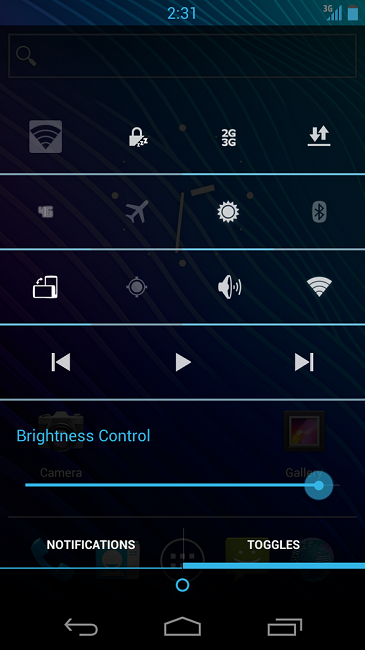 It’s called Reloaded Status Bar and if you enjoy having all of your system toggles and music controls right in your status bar, then you are going to love this one. As you can see in the photo above, it doesn’t look like their is a single system toggle you can’t have in the notification bar. Worried about room for your notifications? Thankfully, there is a separate tab for all of your notifications. Create a nandroid backup immediately. Locate the zip file on your device and install it. If you run in to any issues during installation, let us know down below and we will do our best to help you out.